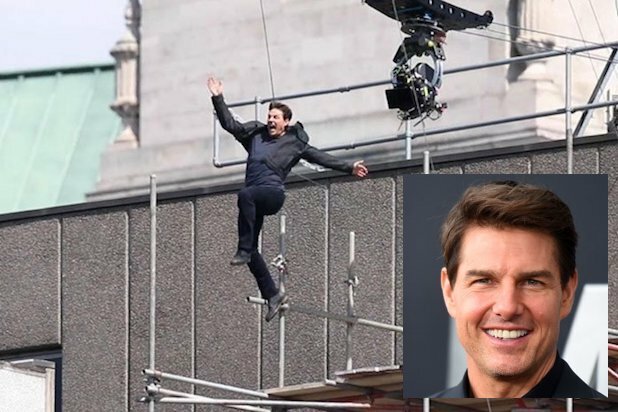 A stunt gone wrong on the London set of “Mission: Impossible 6” left its star, Tom Cruise, struggling to walk on an injured right leg. During the stunt, which was caught on a video released by TMZ, Cruise jumped from rigging set up on the top of one building onto the rooftop of another. Unfortunately, Cruise fell short on the jump and had to catch himself on the building’s edge. After pulling himself up, he tried to continue the take by running to his next mark, but he couldn’t put weight on his right leg and quickly fell to his knees. Stunt assistants came to Cruise’s aid as he limped off. Representatives for Cruise and Paramount Pictures, the studio producing the film, did not respond to TheWrap’s request for comment on the extent of Cruise’s injuries. Filming started in Paris in early April and is slated to continue at least through the end of September. The only other film on Cruise’s schedule is a sequel to his breakthrough hit “Top Gun” called “Top Gun: Maverick,” which is slated for a 2019 release and is currently in early pre-production. 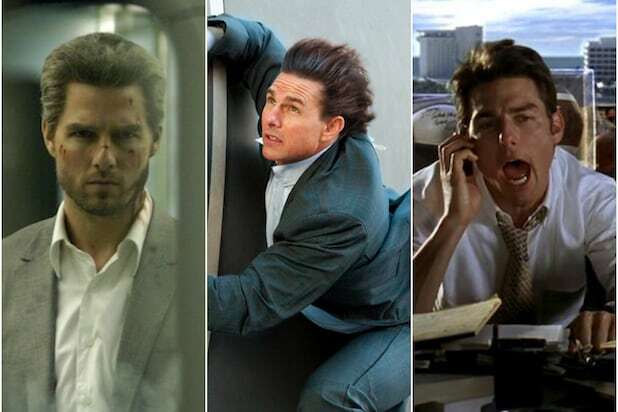 “Mission: Impossible 6” is written, directed, and co-produced by Christopher McQuarrie, who has worked with Cruise on four previous films including “Mission: Impossible: Rogue Nation” in 2015. The film is slated to be released by Paramount on July 27, 2018.